Greenfields has delivered childcare services at Bilborough Children’s Centre since 2008. Our nursery there is purpose built and consists of two rooms for two year olds and a pre-school room for three and four year olds as well as a multipurpose area and an outdoor play area. We provide sessional care for children accessing the government’s Early Learning Programme for two year olds and Nursery education for three and four year olds . We also provide day care for two to four year olds.  We work in close partnership with the Children’s Centre in delivering other family services in the centre. The nursery is open from 8.00 am to 4.30 pm Monday to Friday during term time. We have our own experienced Nursery Cook on site, who prepares nutritionally balanced meals and snacks for the children. Funded places of 15 hours per week are available for two, three and four year olds and we offer 30 hours to eligible families of children aged three and four. The Childcare Services Manager is Helen Fletcher and the Setting Manager is Jennifer Openshaw. Practitioners are well qualified and attend a good range of training, which is targeted to meet their interests and to support the children's individual needs. Three of my children have attended this nursery. The staff are caring and supportive. I would strongly recommend Greenfields.